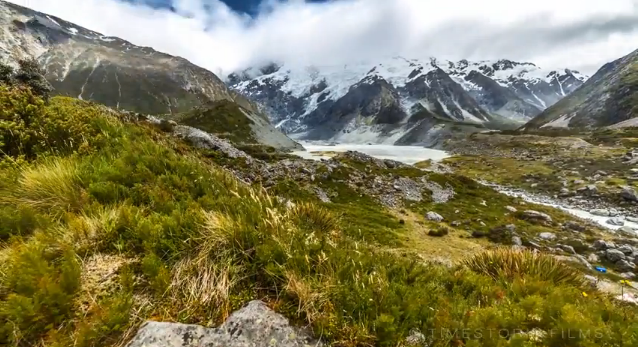 German-born filmmaker Martin Heck who specializes on time-lapse cinematography has created a series of short time-lapse films that feature the natural wonders of New Zealand. And they are amazing. Accompanied by musical compositions from the likes of Hans Zimmer, Harry Escott, and Olafur Arnalds, Heck created a mesmerizing series of videos taken from the best natural destinations in New Zealand. These locations include Fiordland National Park, Mount Cook National Park, Arthur's Pass National Park, Mavora Lakes, Lake Ohau, Lake Tekapo, Skipper Canyon, and Tongariro National Park among others. The series are the products of Heck's four months of traveling and hiking throughout New Zealand. To get the perfect shots of the New Zealand landscape, Heck slept under the stars, explored remote roads, hiked mountains, slept in caves, and explored hidden caves.